The Question Labor will not ask Tony Abbott, so the public must. As many commentators have noted, the Labor attack on Tony Abbott is carrying on with one hand tied behind its back. The restraint is easily explained. They don’t want Abbott going anywhere while his brand is so toxic. They know Tony Abbott is their best chance at springing an electoral suprise and winning the next election, and the last thing they want is to face the much more popular, amenable and centrist Malcolm Turnbull. Which is why, in Question Time yesterday, they bizarrely focused much of their attention on Turnbull, not Abbott. Attention which, it should be noted, Turnbull deflected with much more wit and aplomb than Abbott has been handling such matters recently. Which is why the general public – who are heartily sick of Abbott – need to insist that the media and their politicians ask Abbot this question repeatedly until they get a decent answer, or until Abbott steps down or is pushed off his perch. Almost three years ago, Tony Abbott, then-Opposition leader, rose in parliament to ask Julia Gillard a question that could and should come back to bite him in the coming days. 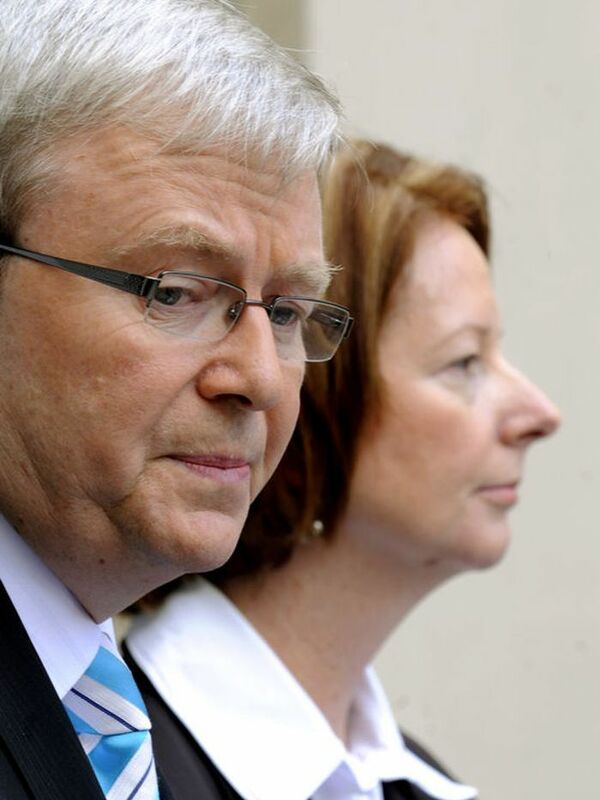 Ms Gillard had just faced down the first challenge from Kevin Rudd, who had days earlier resigned from his post as Foreign Minister and then announced he was running for the top job. Gillard won the leadership ballot, 71-31. It was then Mr Abbott asked the fateful question. “Given that one third of her parliamentary colleagues and a quarter of her cabinet colleagues have today expressed their lack of confidence in her, how can she claim to have a mandate to continue as Prime Minister?” he asked. Well now Mr Abbott finds himself in a strikingly similar situation. At #thespill the motion to unseat Abbott brought by West Australian Liberal MPs Luke Simpkins and Don Randall was defeated 61-39. So while the spill was averted, it still indicates almost 40 per cent of his colleagues had lost faith in the PM. A question repeatedly put to him last night by Leigh Sales on the 7.30 Report, and repeatedly ignored by the embattled PM. Liberal backbenchers say they have sent a powerful message to Tony Abbott that they want to be consulted and policies need to change. And Mr Abbott said in a brief statement in a video message after the vote that the matter had been resolved. “We want to end the disunity and the uncertainty which destroyed two Labor governments and give you the good government that you deserve,” Mr Abbott said. The question to be asked is simple: How can you possibly struggle on when your own party is utterly split over your leadership? We cannot necessarily rely on Bill Shorten and his cohorts to hammer home that question in the coming days and weeks, yet it is the question that demands an answer. Meanwhile, Abbott’s essential nature (and his nervousness) is revealed yet again in two more glaring examples yesterday. The first was the panicky “Captain’s Pick” to throw open the submarine tender – on the day that he ruled out any more Captain’s Picks for a while. The leopard has not changed its spots at all, apparently. 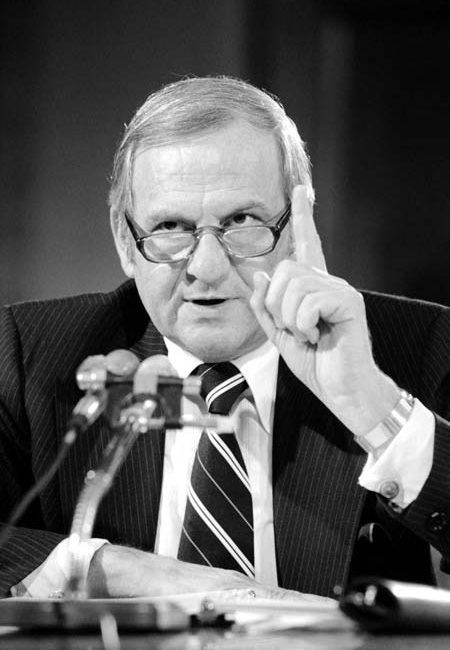 The second was his appallingly laughable assertion that “Good Government Starts Here”, which led, entirely predictably to the blogosphere, twittersphere, and main media asking the obvious question. “What have we had for the last 500 days then?’ The glee at such rampant idiocy was hardly restrained. We have a message for the Prime Minister. This isn’t over by a long chalk, yet. Short and sweet – well done, President Obama. Finally. Now if only someone over here could show some leadership, too. Such a complicated concept. Letting people make each other happy. Not. Now President Obama has publicly voiced his support for Marriage Equality for gay people – and good on him, too – let’s hope his much less impressive Australian counterpart can show the same guts. This means you, Ms Gillard. 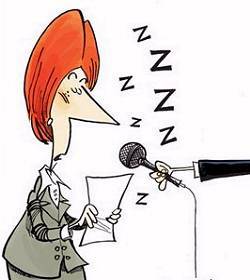 Sadly, once again, the lamentably poor Ms Gillard seems determined to convince us she has zero political guts or leadership qualities. Tragically, of course, her opponent is even worse.